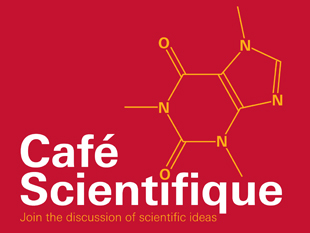 Cafe Scientifique - Should we monitor Parkinson's over the phone? Join applied mathematician Dr Max Little and neuroscientist Dr Mark Ungless as we delve deeper into the nature of Parkinson's and discuss the potential benefits of an unprecedented form of testing. Our voices are affected by Parkinson’s disease as much as our limb movements. The development of novel technology means that we may now be able to detect symptoms over a simple voice recording, but is this a suitable way to monitor the disease? What is the brain activity relating to these physical manifestations of the illness? Join applied mathematician Dr Max Little and neuroscientist Dr Mark Ungless as we delve deeper into the nature of Parkinson's and discuss the potential benefits of an unprecedented form of testing. Dr Max Little is a lecturer and Wellcome Trust-MIT postdoctoral research fellow at Aston University, a visiting assistant professor at MIT, and a visiting senior research associate at the University of Oxford. Dr Mark Ungless is a Royal Society University Research Fellow based in the Institute of Clinical Sciences at Imperial College London. This event is free to attend, doors open at 6pm and admission is on a first come, first served basis. Food and drink will be available to purchase from 6pm until 7.30pm.